Summary This project is part of the new Cotswold Gateway Sustainability Centre and Retail building which is at the entrance into the highly regarded Cotswold Water Park. The objective was to provide solar power to the building in tandem with the generally low energy design which included the use of lake-loop heat pump systems. 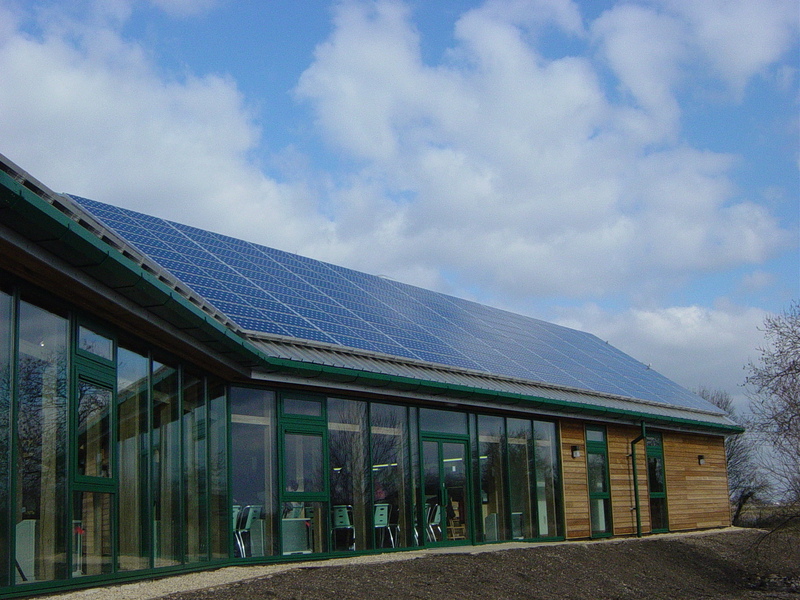 The two buildings provided with a PV system are the visitors building & the retail building. The visitors building has one array of solar panels installed on south west-facing roof while the retail building has two arrays of solar panels installed on the south-facing roof.